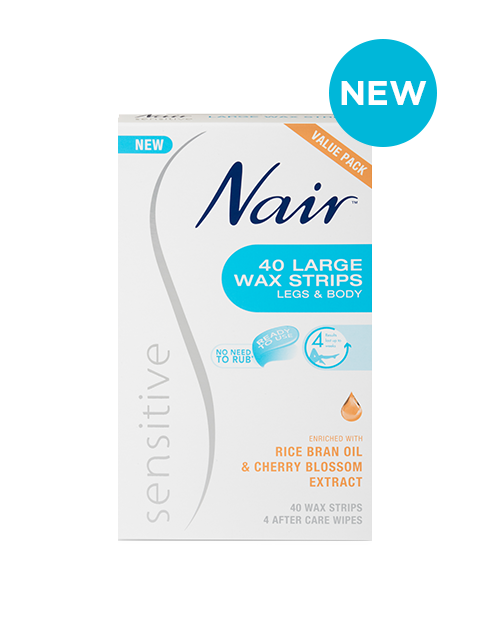 NEW Nair Sensitive formula Hair Removal Shower Cream works while you shower for fast and effective hair removal. This new shower cream is enriched with 100% natural coconut oil plus vitamin E to gently nourish and moisturise the skin. 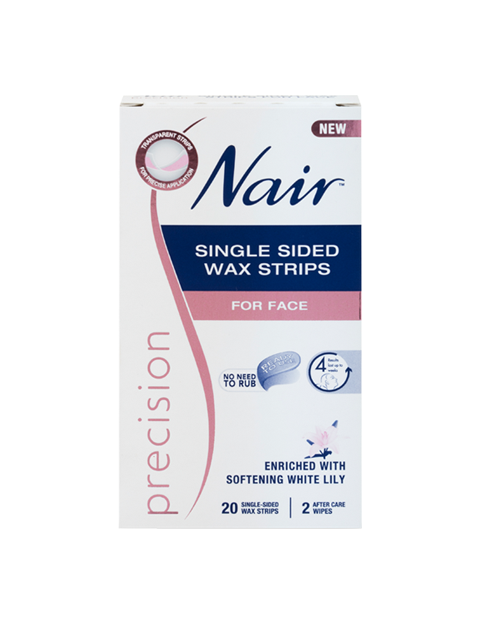 NEW Nair Precision Single Sided Wax Strips are ready to use immediately, no rubbing required and are designed to precisely remove unwanted hair from the face and eyebrows. 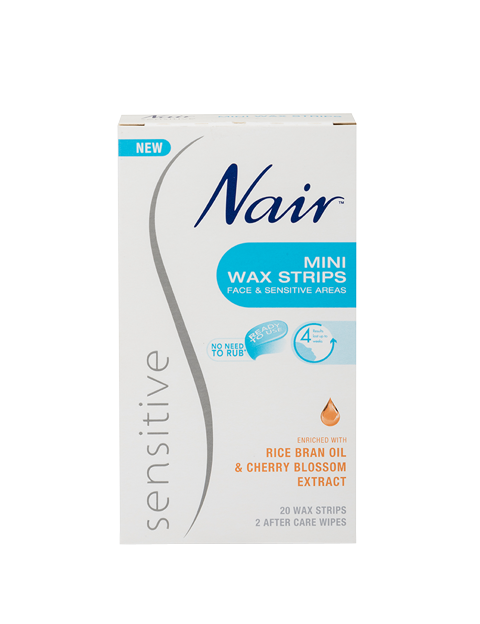 Nair Mini Wax Strips are especially formulated for people with sensitive skin to quickly and precisely remove unwanted hair from the face, underarms or bikini area. 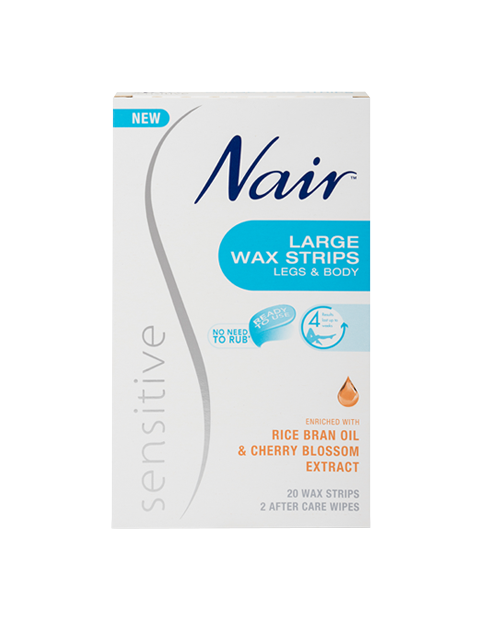 Nair Large Wax Strips are especially formulated for people with sensitive skin to quickly and precisely remove unwanted hair from the legs, underarms or bikini area. 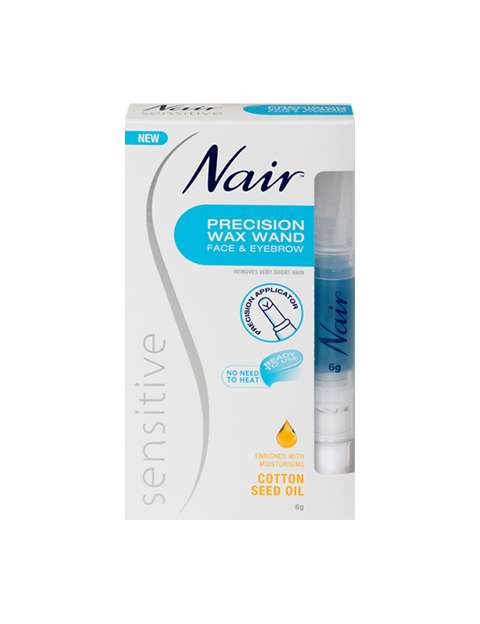 The Nair Sensitive Ultimate Precision Wax Wand is especially formulated for people with sensitive skin to quickly and precisely remove unwanted hair from the face, eyebrows and sensitive areas. 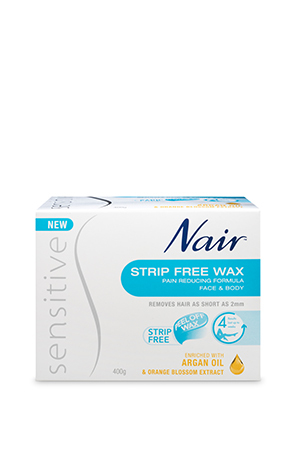 The secret to this wax’s gentle hair removing power is a combination of two soothing botanical extracts – Argan Oil and Orange Blossom Extract. 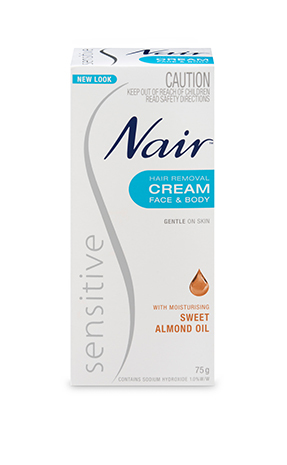 Nair Sensitive Hair Removal Cream with moisturising Sweet Almond Oil is specially formulated for sensitive skin and is gentle enough to use anywhere on the body.